Do you need to rent an apartment but don’t know where to start? Are you heading off to college and thinking about renting your own place? Are you trying to decide between renting a house and renting an apartment? If so, this book is for you. 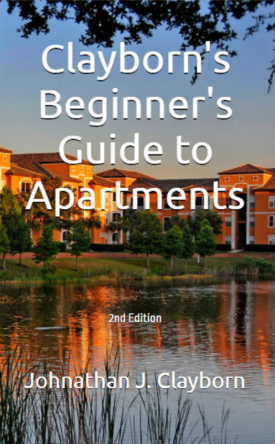 It covers a range of topics about apartments including, how to find an apartment, questions you should ask on the tour, understanding the lease, tips for getting along with your neighbors, tips for packing and moving, and much more. It also includes checklists that you can print and take with you.